In a large mixing bowl, whisk together flour, sugar, baking powder, and salt. Cut in butter with pastry blender or your hands until mixture resembles coarse sand. Stir in chocolate chips. Mix in egg, heavy cream, and vanilla until the dough comes together. Turn out on a lightly floured surface, form a ball, and flatten it until it is about 1-inch thick. Using a sharp knife dipped in flour, cut 8 equal pie wedges (for sweeter scones, sprinkle a little granulated sugar on top of the dough). 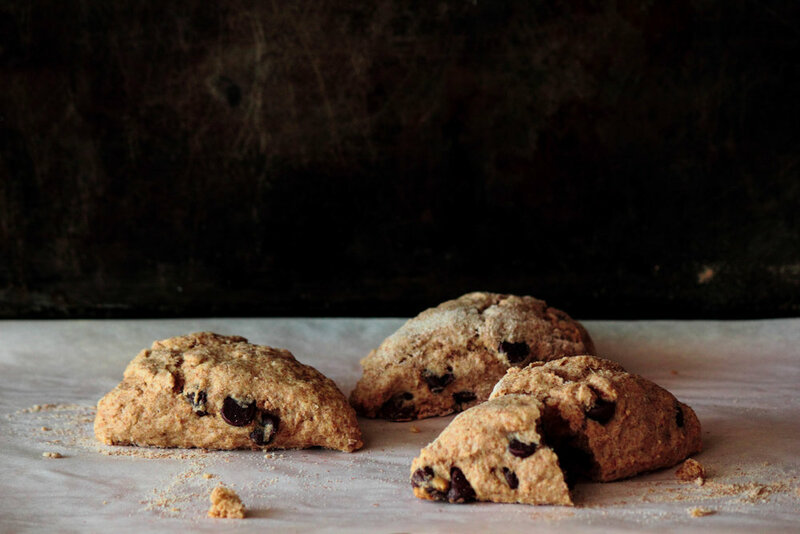 Transfer scones to a baking sheet and bake for 20-25 minutes, or until lightly browned.